Wholesale Trader of a wide range of products which include Low Form Glasswares, Bottle BOD With Interchangeable Stopper, Weighing with Interchangeable Stopper, Regent Glasswares, Bottle and Reagent Glassware and Bottle Glassware. 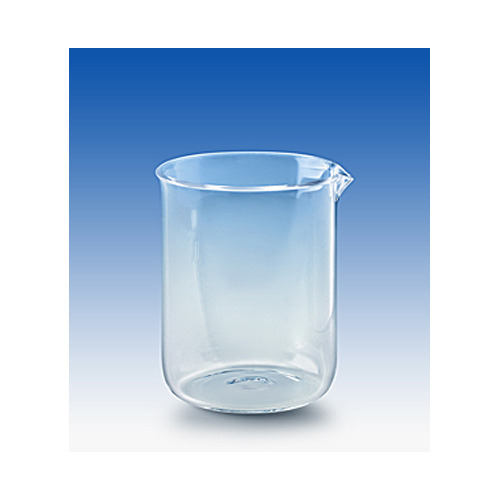 With the assistance of our vendors experienced workforce, we offer a superior quality range of Low Form Glasswares, which is specially, designed using the high-grade raw material. Further, this raw material is quality tested on several parameters to ensure that is in adherence with the industry standards and norms. This product is highly demanded for tests in laboratory. We have established ourselves as the renowned organization engaged in offering a wide range of Weighing with Interchangeable Stopper. These products are made in compliance with set industry standards by making use of top class input factors. Additionally, these are widely used in laboratories, medical and pharmaceutical industries. We are providing a highly durable range of Regent Glasswares to our precious patrons. Our products are produced at our vendors end using finest materials. Moreover, our vendors have a team of highly experienced and talented professionals and advanced machinery involved in the manufacturing process.